Background: Practice parameters for the treatment of obstructive sleep apnea syndrome (OSAS) in adults by surgical modification of the upper airway were first published in 1996 by the American Academy of Sleep Medicine (formerly ASDA). The following practice parameters update the previous practice parameters. These recommendations were reviewed and approved by the Board of Directors of the American Academy of Sleep Medicine. Methods: A systematic review of the literature was performed, and the GRADE system was used to assess the quality of evidence. The findings from this evaluation are provided in the accompanying review paper, and the subsequent recommendations have been developed from this review. The following procedures have been included: tracheostomy, maxillo-mandibular advancement (MMA), laser assisted uvulopalatoplasty (LAUP), uvulopalatopharyngoplasty (UPPP), radiofrequency ablation (RFA), and palatal implants. Recommendations: The presence and severity of obstructive sleep apnea must be determined before initiating surgical therapy (Standard). The patient should be advised about potential surgical success rates and complications, the availability of alternative treatment options such as nasal positive airway pressure and oral appliances, and the levels of effectiveness and success rates of these alternative treatments (Standard). The desired outcomes of treatment include resolution of the clinical signs and symptoms of obstructive sleep apnea and the normalization of sleep quality, the apnea-hypopnea index, and oxyhemoglobin saturation levels (Standard). Tracheostomy has been shown to be an effective single intervention to treat obstructive sleep apnea. This operation should be considered only when other options do not exist, have failed, are refused, or when this operation is deemed necessary by clinical urgency (Option). MMA is indicated for surgical treatment of severe OSA in patients who cannot tolerate or who are unwilling to adhere to positive airway pressure therapy, or in whom oral appliances, which are more often appropriate in mild and moderate OSA patients, have been considered and found ineffective or undesirable (Option). UPPP as a sole procedure, with or without tonsillectomy, does not reliably normalize the AHI when treating moderate to severe obstructive sleep apnea syndrome. Therefore, patients with severe OSA should initially be offered positive airway pressure therapy, while those with moderate OSA should initially be offered either PAP therapy or oral appliances (Option). Use of multi-level or stepwise surgery (MLS), as a combined procedure or as stepwise multiple operations, is acceptable in patients with narrowing of multiple sites in the upper airway, particularly if they have failed UPPP as a sole treatment (Option). LAUP is not routinely recommended as a treatment for obstructive sleep apnea syndrome (Standard). RFA can be considered as a treatment in patients with mild to moderate obstructive sleep apnea who cannot tolerate or who are unwilling to adhere to positive airway pressure therapy, or in whom oral appliances have been considered and found ineffective or undesirable (Option). Palatal implants may be effective in some patients with mild obstructive sleep apnea who cannot tolerate or who are unwilling to adhere to positive airway pressure therapy, or in whom oral appliances have been considered and found ineffective or undesirable (Option). Postoperatively, after an appropriate period of healing, patients should undergo follow-up evaluation including an objective measure of the presence and severity of sleep-disordered breathing and oxygen saturation, as well as clinical assessment for residual symptoms. Additionally, patients should be followed over time to detect the recurrence of disease (Standard). Conclusions: While there has been significant progress made in surgical techniques for the treatment of OSA, there is a lack of rigorous data evaluating surgical modifications of the upper airway. Systematic and methodical investigations are needed to improve the quality of evidence, assess additional outcome measures, determine which populations are most likely to benefit from a particular procedure or procedures, and optimize perioperative care. Citation: Aurora RN; Casey KR; Kristo D; Auerbach S; Bista SR; Chowdhuri S; Karippot A; Lamm C; Ramar K; Zak R; Morgenthaler TI. Practice parameters for the surgical modifications of the upper airway for obstructive sleep apnea in adults. SLEEP 2010;33(10):1408-1413. The Standards of Practice Committee (SPC) of the AASM, in conjunction with specialists and other interested parties, developed these practice parameters based on the accompanying review paper. A Task Force of content experts was assembled by the AASM in July 2007 to review evidence in the scientific literature regarding surgical therapies for OSA. In most cases recommendations are based on that systematic review of evidence from studies published in the peer-reviewed literature. Some recommendations, when appropriate, have been carried forward from the previous practice parameters document with little or no change. The Board of Directors of the AASM approved these recommendations. All members of the AASM SPC and Board of Directors completed detailed conflict-of-interest statements and were found to have no conflicts of interest with regard to this subject. These practice parameters define principles of practice that should meet the needs of most patients in most situations. These guidelines should not, however, be considered inclusive of all proper methods of care or exclusive of other methods of care reasonably directed to obtaining the same results. The ultimate judgment regarding propriety of any specific care must be made by the physician, in light of the individual circumstances presented by the patient, available diagnostic tools, accessible treatment options, and resources. Classic upper airway surgical techniques such as nasal-septal reconstruction, cauterization, and tonsillectomy frequently fail to correct OSA.8 Consequently, specialized surgical techniques for treating OSA have been developed which modify either or both the retropalatal and retrolingual areas. Historically, patterns of airway narrowing or collapse have been classified in the following manner: Type I collapse involves narrowing of the retropalatal region; Type II includes narrowing or collapse of both the retropalatal and retrolingual areas; and Type III collapse occurs only in the retrolingual area.12 However, it is often difficult to definitively identify the area of collapse and multiple sites may be involved. The literature related to this wide array of procedures is largely descriptive in nature and is not amenable to a systematic, evidence-based review of efficacy and/or safety. Therefore, the current practice parameters are limited to a subset of procedures that are performed more frequently and for which some evaluable literature is available. Seventy-nine papers were included in the accompanying review9 of which 4 were RCT (3 single procedures and 1 multi-level procedure) and 75 were case series. Of the case series, 44 were single procedures and 31 multi-level. Therefore, there were 47 papers that looked at single procedures. 3.1 Tracheostomy: This procedure consists of creating an opening in the trachea for placement of a long term indwelling tube or stoma for ventilation, thereby bypassing upper airway obstruction causing OSA. 3.2 Maxillomandibular advancement (MMA): this operation involves simultaneous advancement of the maxilla and mandible through sagittal split osteotomies. It provides enlargement of the retrolingual airway and some advancement of the retropalatal airway. 3.3 Uvulopalatopharyngoplasty (UPPP): This procedure enlarges the retropalatal airway through trimming and reorienting of the posterior and anterior tonsillar pillars and excision of the uvula and posterior portion of the palate. 3.4 Laser assisted uvulopalatoplasty (LAUP): This procedure consists of placing bilateral vertical incisions or trenches directly along both sides of the uvula followed by laser ablation of the uvula. 3.5 Radiofrequency ablation (RFA): Radiofrequency ablation consists of placement of a temperature controlled radiofrequency probe typically in the tongue and/or soft palate in an effort at palatal stiffening. 3.6 Soft palatal implants: this procedure consists of implanting malleable plastic rods into the soft palate under local anesthesia. 3.7 Multi-level or stepwise surgery (MLS): This category includes a wide array of combined procedures to address narrowing of multiple sites in the upper airway. MLS frequently consists of phase I utilizing UPPP, and or genioglossus advancement and hyoid myotomy (GAHM). Phase II surgeries consist of utilizing maxillary and mandibular advancement osteotomy (MMO), offered to those failing phase I surgeries. The classification of evidence was made using GRADE (Boxes 1 and 2).11 Recommendations are given as Standards,Guidelines, and Options, as defined in Table 1. 4.1.1 The presence and severity of obstructive sleep apnea must be determined before initiating surgical therapy (Standard). Values and Trade-offs: This recommendation has not changed from the previous practice parameter paper. A proper diagnosis of OSA ought to be determined prior to surgery for sleep apnea; to do otherwise exposes patients to needless risk. Thus, even though there is not “evidence” in the sense of studies evaluating the performance of surgery for sleep apnea in patients with and without OSA, this recommendation deserves the “Standard” level. 4.1.2 The patient should be advised about potential surgical success rates and complications, the availability of alternative treatment options such as nasal positive airway pressure and oral appliances, and the levels of effectiveness and success rates of these alternative treatments (Standard). Values and Trade-offs: This recommendation is not changed from the prior practice parameter paper. The committee values the ethical principles of patient autonomy and safety, and thus feels that it is imperative that all reasonable treatment alternatives for OSA be discussed in a manner that allows the patient to make an informed decision. The desired outcomes of treatment include resolution of the clinical signs and symptoms of obstructive sleep apnea and the normalization of sleep quality, the apnea-hypopnea index, and oxyhemoglobin saturation levels (Standard). value on normalization of the AHI in rating efficacy of treatments for OSA. 4.3.1 Tracheostomy: Tracheostomy has been shown to be an effective single intervention to treat obstructive sleep apnea. This operation should be considered only when other options do not exist, have failed, are refused, or when this operation is deemed necessary by clinical urgency (Option). Although the Task Force did not find any additional papers on tracheostomy [indirectly in Review Section 2.2], the consensus of the Standards of Practice Committee holds that this intervention is appropriate in the aforementioned setting. 4.3.2 Maxillo-Mandibular Advancement (MMA): MMA is indicated for surgical treatment of severe OSA in patients who cannot tolerate or who are unwilling to adhere to positive airway pressure therapy, or in whom oral appliances, which are more often appropriate in mild and moderate OSA patients, have been considered and found ineffective or undesirable [Review Section 3.1; Figure 2, 3] (Option). Although the evidence is very low quality (Level 1), comprised of nine case series, the studies tend to demonstrate consistent effectiveness in severe OSA. Traditional “stepped” care often employs MMA as a final approach for surgical correction of OSA (see 4.3.7). However, in certain cases MMA may be considered as an initial or sole surgical approach in treating OSA. A multidisciplinary evaluation to clarify which patients would benefit from MMA as initial or sole therapy is recommended. Evidence supporting this or other alternatives to the usual stepped approach is lacking. Additionally, MMA is not well described in mild and moderate OSA making recommendations in less severe OSA unclear. 4.3.3 Uvulopalatopharyngoplasty (UPPP) as a single surgical procedure: UPPP as a sole procedure, with or without tonsillectomy, does not reliably normalize the AHI when treating moderate to severe obstructive sleep apnea syndrome. Therefore, patients with severe OSA should initially be offered positive airway pressure therapy, while those with moderate OSA should initially be offered either PAP therapy or oral appliances. [Review Section 3.2.1; 3.2.2; Figure 4, 5; Table 2] (Option). Values and Tradeoffs: This recommendation has changed as the committee valued normalization of the AHI, improvements in other clinically important outcomes, and safety. There is now a convergence of very low level evidence that UPPP alone (with or without tonsillectomy) does not reliably normalize the AHI and has only modest impact on pre-operative values. Other clinical outcomes such as improvement in sleepiness or cardiovascular events and/or risks are not well developed in the literature. UPPP entails some morbidity and rarely, mortality. In highly selected patients, UPPP may be an appropriate supplement to PAP or OAs, but evidence for this is also not well developed. Therefore, although UPPP alone may seem more convenient and desirable for some patients, routinely other more proven treatments such as PAP or OAs ought to be considered first.20,21 There is a pressing need for comparative outcomes research regarding UPPP and other treatment modalities, as the benefits compared with harms of UPPP are unclear at this time. 4.3.4 Multi-Level or Stepwise Surgery (MLS): Use of MLS, as a combined procedure or as stepwise multiple operations, is acceptable in patients with narrowing of multiple sites in the upper airway, particularly if they have failed UPPP as a sole treatment. [Review Section 3.6; 3.7; Figure 12, 13] (Option). very low quality Level 1. Without more data on specific MLS procedures, a higher recommendation cannot be made. Encouraging improvements in OSA severity following phase II surgery may support performing phase II surgeries first in selected cases; however, research regarding a reversed phase II followed by phase I approach is not available in the literature. Values and tradeoffs: The accompanying review9 notes that non-randomized studies of multi-phase procedures are subject to bias by the self-selection of patients willing to undergo multiple surgeries. While a multilevel approach may eventually result in a significant decline in the AHI, available data for a stepwise approach are heterogeneous, clinical outcomes such as cardiovascular events are not well studied, and multiple procedures could be associated with an increase in morbidity and mortality. 4.3.5 Laser Assisted Uvulopalatoplasty (LAUP): LAUP is not routinely recommended as a treatment for obstructive sleep apnea syndrome [Review Section 3.3; Figure 6, 7] (Standard). The evidence related to the use of LAUP was judged to be low quality (Level 2) based on 2 randomized trials and 6 observational studies. LAUP was addressed in a separate practice parameter update in 2001,22 which included a Guideline-level recommendation against the use of LAUP for the treatment of sleep-related breathing disorders including OSA. Values and Tradeoffs: The recommendation has been upgraded from guideline to standard. LAUP does not generally normalize the AHI and the literature does not demonstrate significant improvement in secondary outcomes. Two studies, 1 RCT23 and 1 observational24 performed since the last review,22 actually saw worsening of the overall AHI. As there is no significant improvement post procedure, a possibility of worsening exists, and perioperative pain and complications are potential issues, the routine recommendation of this procedure would not be in the patient’s interest. 4.3.6 Radiofrequency ablation (RFA): RFA can be considered as a treatment in patients with mild to moderate obstructive sleep apnea who cannot tolerate or who are unwilling to adhere to positive airway pressure therapy, or in whom oral appliances have been considered and found ineffective or undesirable [Review Section 3.4.1; 3.4.2; 3.4.3; 3.4.4; Figure 8, 9] (Option). This is a new recommendation based on Level 1 very low quality evidence (7 observational case series and 1 RCT). The average post-procedure AHI was found to be 14.9, consistent with residual mild OSA. RFA studies have shown improvement in subjective sleepiness and, in one study, quality of life. Values and Tradeoffs: In patients with mild or moderate OSA who do not or cannot adhere to PAP or OAs, RFA may be an alternative therapy even though not as predictably efficacious. Since long-term cardiovascular complications of OSA are associated with even lower values of AHI, patients treated with RFA should receive follow-up assessments for residual AHI, even if symptoms appear adequately improved. Long-term sequelae of RFA are not published. 4.3.7 Palatal Implants: Palatal implants may be effective in some patients with mild obstructive sleep apnea who cannot tolerate or in whom oral appliances have been considered and found ineffective or undesirable [Review Section 3.5; Figure 10, 11] (Option). There is limited research that adequately assesses the efficacy of palatal implants for the treatment of OSA. One RCT and 2 case series met the criteria for inclusion in the review and suggest marginal efficacy. Overall, this represents very low quality (Level 1) evidence. Values and Tradeoffs: This is a new treatment option that has emerged since the previous practice parameter. While this procedure may be an alternative mode of therapy for mild OSA, at the present time it is difficult to predict if it will be ultimately be found to be a reliably effective intervention. Postoperatively, after an appropriate period of healing, patients should undergo follow-up evaluation including an objective measure of the presence and severity of sleep-disordered breathing and oxygen saturation, as well as clinical assessment for residual symptoms. Additionally, patients should be followed over time to detect the recurrence of disease (Standard). The paucity and low quality of evidence concerning the surgical treatment of the upper airway for OSA in adults is conspicuous. Both PAP and OA therapy have more robust data upon which to develop treatment recommendations. The largest body of evidence provided by a systematic search and meta-analysis refers to UPPP alone, which is unfortunately not highly relevant to current practices wherein UPPP is either modified from its original description or is combined with other surgical modifications of the upper airway. Given the importance of surgical options for management and the expense and potential morbidities that are unique to surgical management, it is imperative that key questions be resolved by sound clinical research. From the available evidence, there were very few RCT or even case-control studies. Although the RCT is difficult to perform using surgical management strategies, it remains the most reliable standard upon which practice recommendations can be made. functional changes are produced by the surgery, and thorough follow-up using objective and validated assessment tools would be important to develop so that comparative effectiveness studies might be more easily performed. Registries ought to be considered to foster further research. Much is unknown about how to best monitor surgically treated patients. Studies are greatly needed to clarify when the first follow-up re-assessment for cure ought to be performed (e.g., how many weeks postoperatively? ), what treatments ought to be maintained during the postoperative period (e.g., should PAP to be used in the first months after therapy? ), how long should observation continue, and what are the best follow-up tools over time (e.g., clinical assessment, standardized questionnaires, portable monitors, other disease markers?). It is unknown if the use of multi-level surgery influences the rate of relapse. Long-term longitudinal data are lacking for the surgical treatments. Many current surgical approaches only partially correct sleep-disordered breathing, yet the remedies are in effect every night. This contrasts with PAP or OA that might be entirely efficacious in alleviating sleep-disordered breathing, yet only do so when they are used. Studies comparing effectiveness of these treatment strategies are needed. Few surgical studies address outcomes in diverse patient populations with respect to women, different age groups, and race/ethnicity. How BMI, more accurate descriptors of body habitus, and other relevant anatomic considerations influence surgical outcomes require better definition. Adverse effects of the various surgical treatments and prognostic factors over both short and long term need require better clarification. When these research and standardization topics have been addressed, the surgical modification of the upper airway as a treatment of OSA in adults can be better understood, and its indication from the multiple other approaches to OSA treatment can be better defined for optimal patient care. The committee would like to thank Sharon Tracy, PhD, and Rich Rosenberg, PhD, for their efforts in the development of this manuscript. This was not an industry supported study. Dr. Morgenthaler has received research support from ResMed. Dr. Auerbach has participated in research supported by Sepracor and participated in a speaking engagement for Forest Pharmaceuticals. Dr. Karippot has received research support from Wyeth and is Medical Director of Akane Sleep Solutions, Inc., a sleep disorders clinic and laboratory. The other authors have indicated no financial conflicts of interest. 1. Ayalon L, Ancoli-Israel S, Aka A, McKenna B, Drummond S. Relationship between obstructive sleep apnea severity and brain activation during a sustained attention task. Sleep 2009;32:373-81. 3. Siccoli M, Pepperell J, Kohler M, Craig S, Davies R, Stradling J. Effects of continuous positive airway pressure on quality of life in patients with moderate to severe obstructive sleep apnea: Data from a randomized controlled trial. Sleep 2008;31:1551-8. 4. Takama N, Kurabayasi M. Influence of untreated sleep-disordered breathing on the long-term prognosis of patients with cardiovascular disease. Am J Cardiol 2009;103:730-4. 5. Epstein LJ, Kristo D, Strollo PJ Jr, et al. Clinical guideline for the evaluation, management and long-term care of obstructive sleep apnea. J Clin Sleep Med 2009;5:263-76. 6. Sin D, Mayers I, Man G, Pawluk L. Long term compliance rates to continuous positive airway pressure in obstructive sleep apnea. Chest 2002;121:430-5. 7. Thorpy M, Chesson A, Derderian S, et al. Practice parameters for the treatment of OSA in adults: The efficacy of surgical modifications of the upper airway Sleep 1996;19:152-5. 8. Sher AE, Schechtman KB, et al. The efficacy of surgical modifications of the upper airway in adults with obstructive sleep apnea syndrome. Sleep 1996;19:156-77. 9. Caples S, et al. Surgical modifications of the upper airway for sleep apnea: A systematic review. Sleep 2010;33:1396-1407. 10. Aurora RN, Morgentaler T. On the goodness of recommendations: the changing face of practice parameters. Sleep 2010;33:1273-76. 11. Atkins D, Best D, Briss PA, et al. Grading and quality of evidence and strength of recommendations. BMJ 2004;328:1490-4. 12. Sher A. Upper airway surgery for obstructive sleep apnea. Sleep Med Rev 2002;6:195-212. 13. 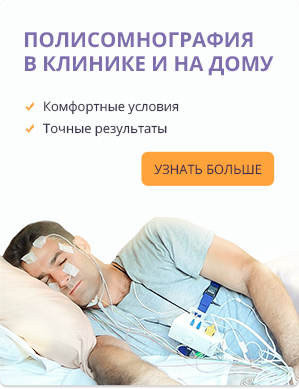 American Academy of Sleep Medicine. International classification of sleep disorders, 2nd ed. : Diagnostic and coding manual. Westchester, IL: American Academy of Sleep Medicine; 2005. 14. Weaver T, Chasens E, Arora S. Modafinil improves functional outcomes in patients with residual excessive sleepiness associated with CPAP treatment. J Clin Sleep Med 2009;5:499-505. 15. Zimmerman M, Aloia M. A review of neuroimaging in obstructive sleep apnea. J Clin Sleep Med 2006;2:461-71. 16. Shahar E, Whitney C, Redline S, et al. Sleep-disordered breathing and cardiovascular disease: cross-sectional results of the Sleep Heart Health Study. Am J Respir Crit Care Med 2001;163:19-25. 17. Marin JM, Carrizo SJ, Vicente E, et al. Long-term cardiovascular outcomes in men with obstructive sleep apnoea-hypopnoea with or without treatment with continuous positive airway pressure: an observational study. Lancet 2005;365:1046-53. 18. Peker Y, Hedner J, Norum J, et al. Increased incidence of cardiovascular disease in middle-aged men with obstructive sleep apnea. A 7-year follow-up. Am J Respir Crit Care Med 2002;166:159-65. 19. El Solh A, Jaafar W. A comparative study of the complications of surgical tracheostomy in morbidly obese critically ill patients. Crit Care 2007;11:R3. 20. Kushida CA, Morgenthaler T, Littner M, et al. Practice parameters for the treatment of snoring and obstructive sleep apnea with oral appliances: An update for 2005. Sleep 2006;29:240-3. 21. Kushida CA, Littner M, Hirshkowitz M, Morgenthaler T, et al. Practice parameters for the use of continuous and bilevel positive airway pressure devices to treat adult patients with sleep-related breathing disorders. Sleep 2006;29:375-80. 22. Littner M, Kushida CA, Hartse K, et al. Practice parameters for the use of laser-assisted uvulopalatoplasty: an update for 2000. Sleep 2001;24:603-19. 23. Larrosa F, Hernandez L, Morello A, Ballester E, Quinto L, Montserrat JM. Laser-assisted uvulopalatoplasty for snoring: does it meet the expectations? Eur Respir J 2004;24:66-70. 24. Berger G, Stein G, Ophir D, Finkelstein Y. Is there a better way to do laser-assisted uvulopalatoplasty? Arch Otolaryngol Head Neck Surg 2003;129:447-53. 25. Boot H, van Wegen R, Poublon RM, Bogaard JM, Schmitz PI, van der Meche FG. Long-term results of uvulopalatopharyngoplasty for obstructive sleep apnea syndrome. Laryngoscope 2000;110(3 Pt 1):469-75. 26. Walker-Engstrom ML, Tegelberg A, Wilhelmsson B, Ringqvist I. 4-year follow-up of treatment with dental appliance or uvulopalatopharyngoplasty in patients with obstructive sleep apnea: a randomized study. Chest 2002;121:739-46. 27. Levin B, Becker G. Uvulopalatopharyngoplasty for snoring: long-term results. Laryngoscope 1994;104:1150-2.